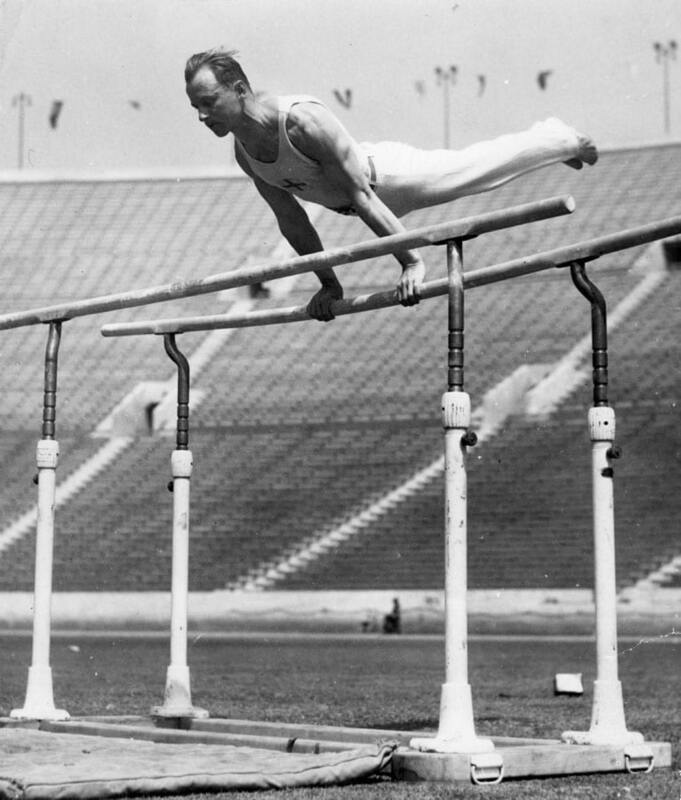 The gymnastics career of Heikki Savolainen is hard to fathom: he competed at five Olympic Games despite missing two because of the Second World War and won a total of nine Olympic medals, including two golden ones. Savolainen’s first Olympic medal was bronze in pommelled horse in Amsterdam 1928. In Los Angeles 1932 he gathered one silver and three bronze medals and in Berlin 1936 bronze in the team competition. In 1948 Savolainen was working as town doctor when he was persuaded to return to gymnastics and join the Finnish Olympic team for the London Games. Once there he won gold in the team competition and another one in the pommelled horse. Four years later in Helsinki Savolainen was back again and gained bronze in the team event. He also swore the athletes’ oath at the opening ceremony of the Helsinki Games.